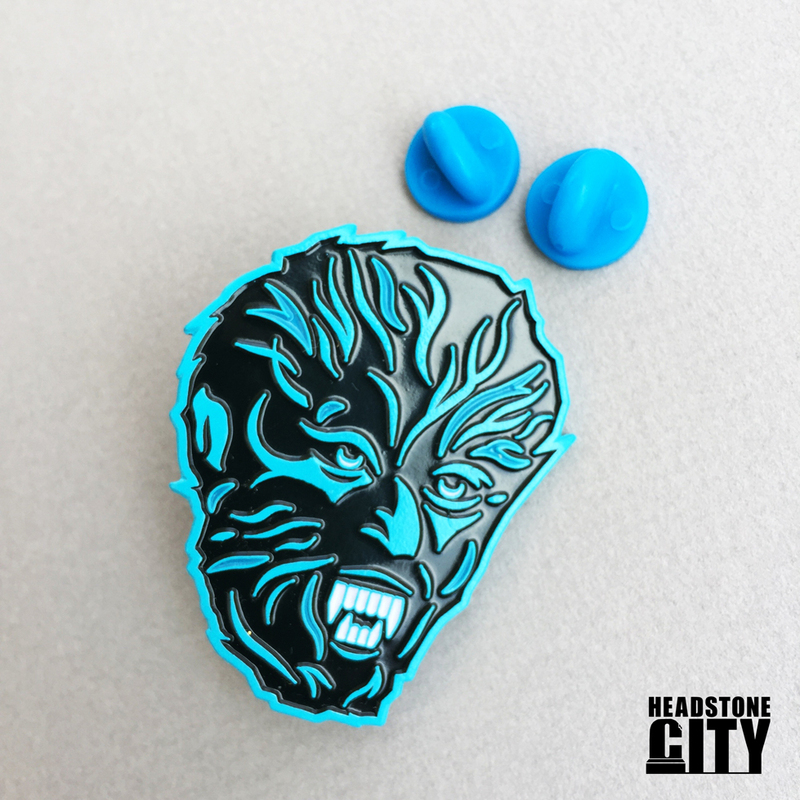 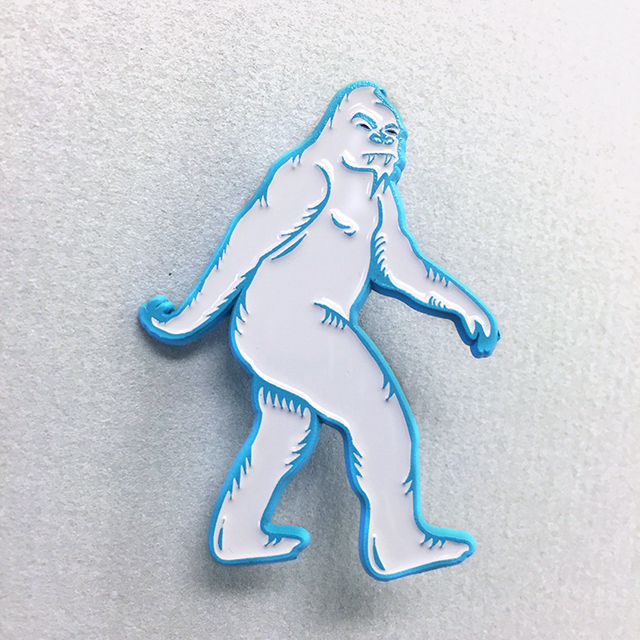 Blue Moon Wolf Man soft-enamel pin, on back board. 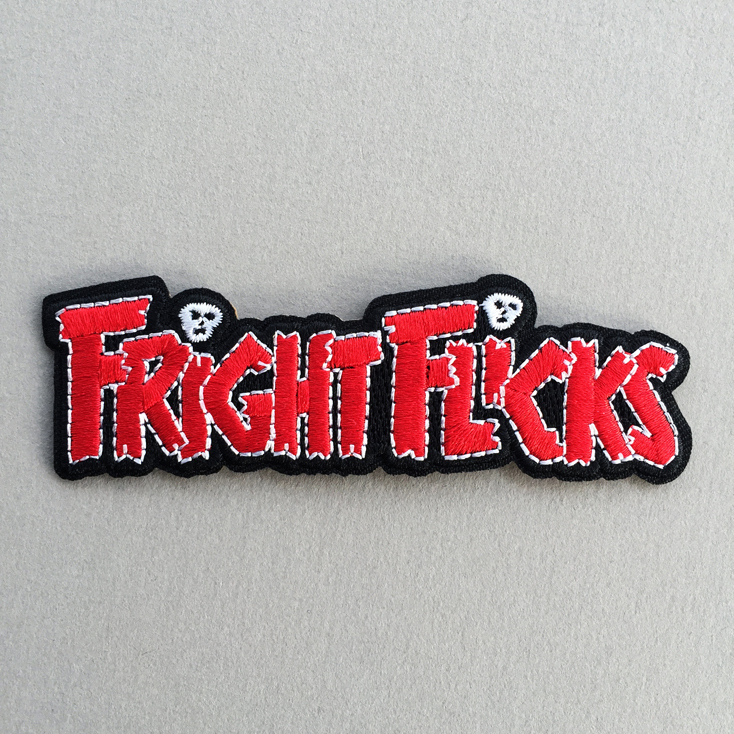 Inspired by the classic universal monsters from the 30’s-50’s. 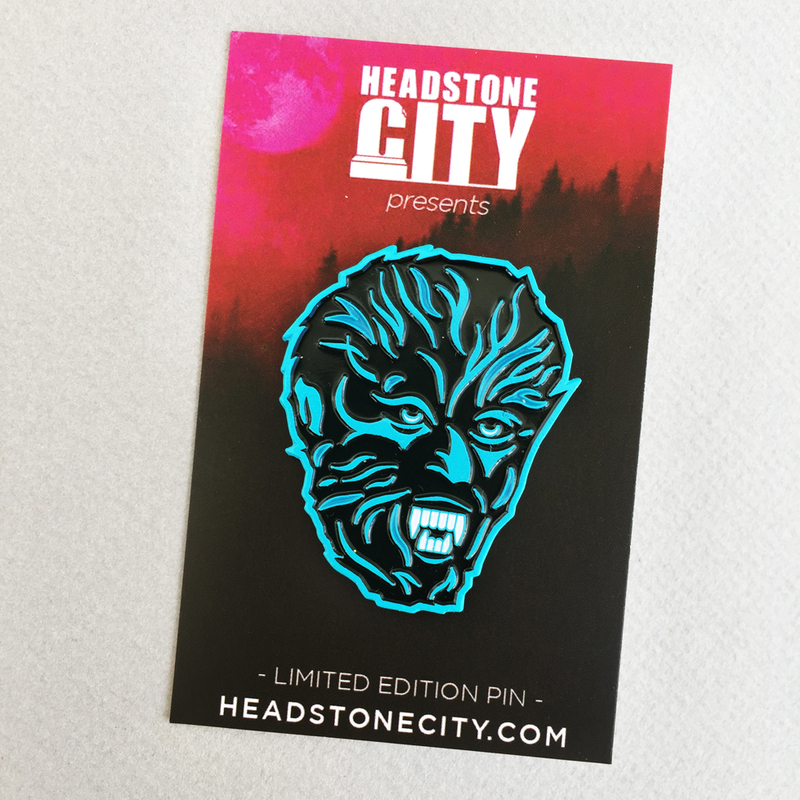 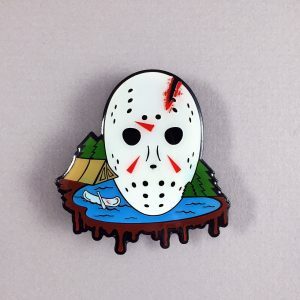 Go howling at the moon with this limited edition horror pin.